There is a new organizational assessment tool that you should be using. It’s called the ManageHub Success Score. It is a powerful, first-of-its-kind, Baldrige-based assessment that you can use to help measure and monitor the overall management health of any business, business unit, or non-profit. The Success Score was created in collaboration with the Alliance for Performance Excellence. The Alliance is the outreach arm of the Baldrige Performance Excellence Program. 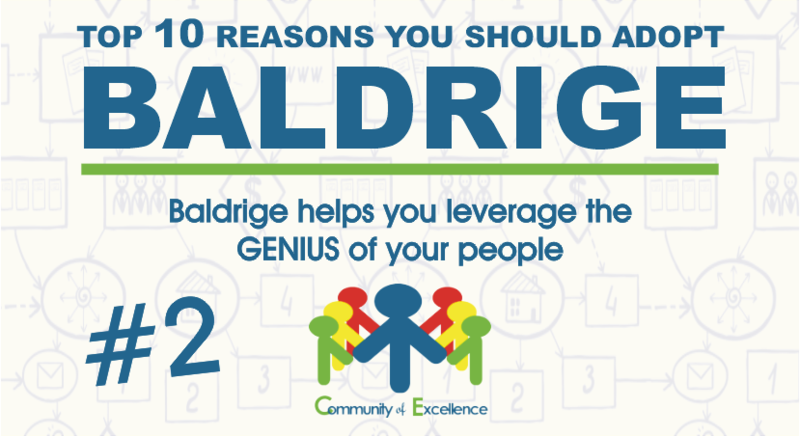 Baldrige is recognized worldwide as a standard of organizational excellence. Once completed, the Success Score can be compiled into a valuable 25-page report that identified gaps and suggests action steps. Also, do not worry about low scores. The Success Score is an opportunity to identify gaps. The feedback report provides you with valuable insights for quickly filling gaps. What is important is that you use the Success Score to assess your organization’s current capabilities so that you can design a prioritized improvement plan. How Will You Leverage the Success Score? The Success Score is a flexible assessment tool that you can use in a variety of ways depending on the needs of the organization. Use it as an educational tool. Use it to help determine the value a business from the critical point-of-view of a buyer. Use it as the basis for a preferred vendor program. Use it to measure and monitor improvement over time. It can also be combined with the ManageHub Accelerator and ManageHub Software as part of a comprehensive turnaround, continuity, or exit strategy. How will you use the Success Score? Use the Success Score to establish an organization’s current state of management maturity based on the six Baldrige-based dimensions: Leadership, Strategy, Customer, Workforce, Operations, and Measurement. Then retake the Success Score at regular intervals to measure the effectiveness of your improvement initiatives. Use the Success Score feedback report to provide business owners with insight into their organizations’ management gaps. It offers business advisers a credible document to structure a valuable coaching conversation. It can be used to help business leaders think differently about their management approach. It also identifies simple ways to help accelerate their success. You could also check out salesforce pipeline to see where prospects are in your sales process, this can be a really useful tool for your business. You can combine the Success Score with other ManageHub tools to create a more effective preferred vendor or certification program. The Success Score approach replaces costly (and often ineffective) after-the-fact audits with ongoing monitoring. In addition to monitoring the six Baldrige-based dimensions, ManageHub’s innovative approach is fully customizable by a supply-chain manager to monitor the specific processes they associate with risk and qualification. Become a ManageHub Coach Member: If you are a business coach or professional who wants to learn how to become a ManageHub Coach please visit: https://managehubaccelerator.com/become-a-managehub-coach You will receive everything you need to get started. ManageHub is a simple, practical, turnkey solution that complements and enhances all the wonderful work you currently offer.